Animal Planet, part of the Discovery Channel network. 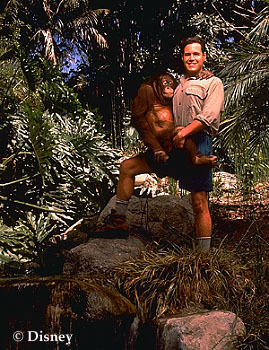 It is titled "The Jeff Corwin Experience"
Going Wild With Jeff Corwin. Jeff's shows are very educational and entertaining and shouldn't be missed by any animal lover. With the help of my mom, I'm dedicating my website to this great guy and the wonderful adventures he's been and continues to be a part of. Jeff Corwin is a fascinating animal biologist, who uses his vast, unique knowledge and a wonderful sense of humor to take us on each new adventure. Jeff's Journals, see where he's been Word Search "Animal Groups"
"What you had to say"
Watch CSI Miami Monday October 13th. The Episode is called "Death Grip"
And Jeff will play a role in it!!!!! She Weighed 7 lbs. 8 oz. please contact the website below. Due to copyright laws I need to put this here....All images, sounds, and names associated with �Disney's "Going Wild With Jeff Corwin are strictly the property Of the �Disney Co. I am not affiliated with the production of G.W.W.J.C. Also any any copyrighted material (sounds and images) From �Discovery Channel's "Jeff Corwin Experience" also do not belong to me. My page is simply created for entertainment purposes, out of my love for Animals and my respect for the show and the wonderful job Jeff Corwin, �Disney, and �Discovery Channel does to bring these shows to us.